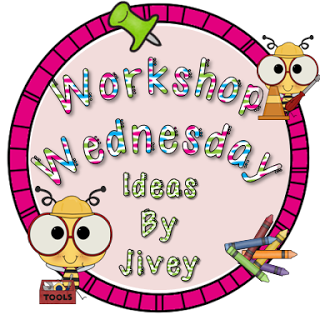 So I am linking up with two of my BBB's for their totally fun, extremely informative linkys!! 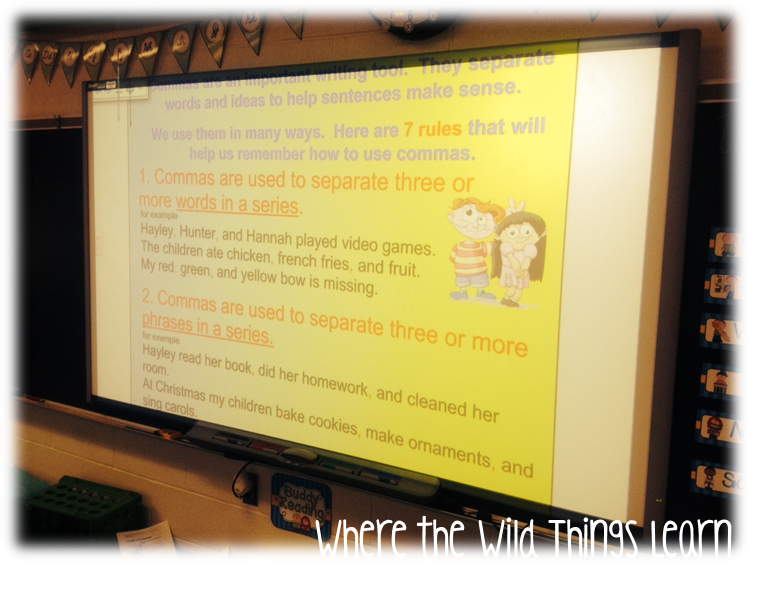 I am going to share with you one of my favorite, and easy ways to review grammar rules during Word Work!! This week we are focusing on Commas, so this tied in perfectly! My students get bored with grammar.. quick. So I am always on my toes trying to find new and fun things for them to do! 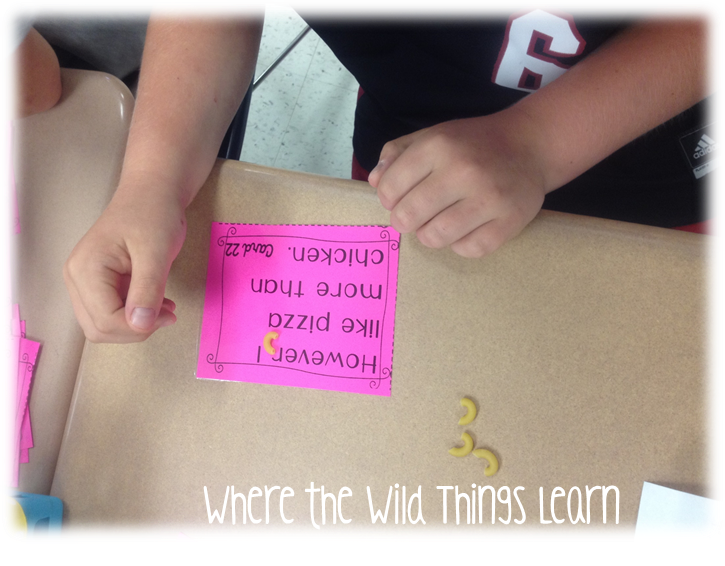 I decided to review commas, apostrophes, and quotations using macaroni noodles instead of just writing them in! I introduced this to my students today and they LOVED it. First, I printed all of the task cards on different colored card stock based on the topic it covers. So Commas=Pink Apostrophes=Yellow Quotations=Green. 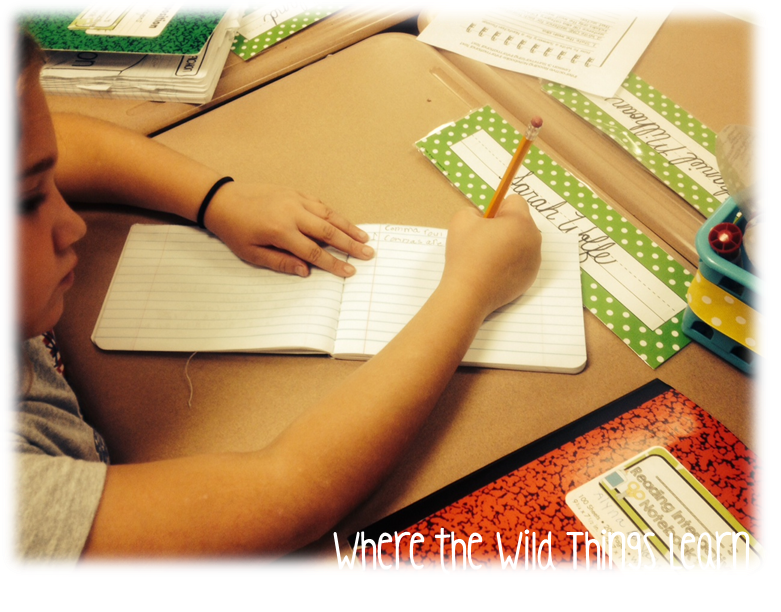 Students write the 7 rules in their grammar notebooks to have as a reference for future use. Then, I place the task cards in plastic baggies with 8-10 macaroni noodles in each. I place these baggies in the bin for today in my Word Work center. 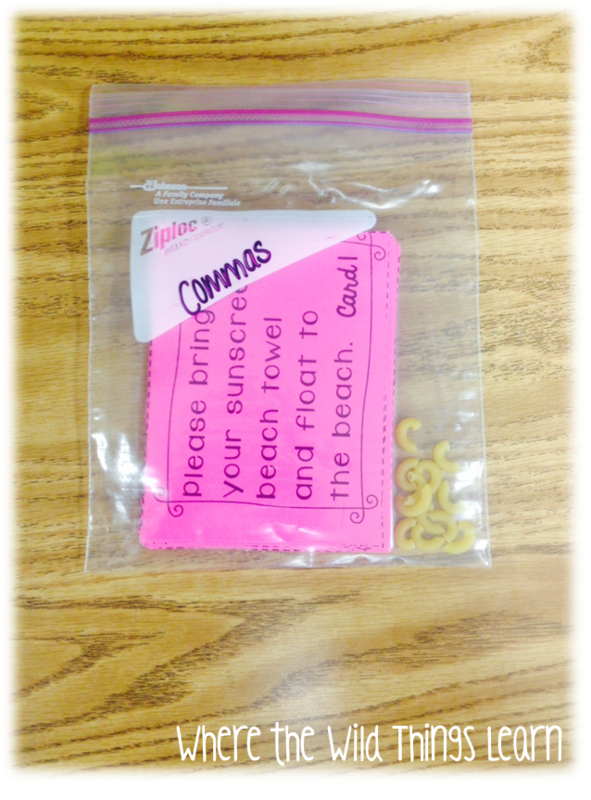 Students each get a baggie, take it to their seats, and use the macaroni noodles to insert commas as needed on each task card. They can ask me to check their work if they're not sure, or they can look back in their grammar notebooks! It's that easy to prep and execute... don't ya love it?! If you didn't win you can purchase this pack here from my TPT store. Please head over and link up with these two amazing ladies.. 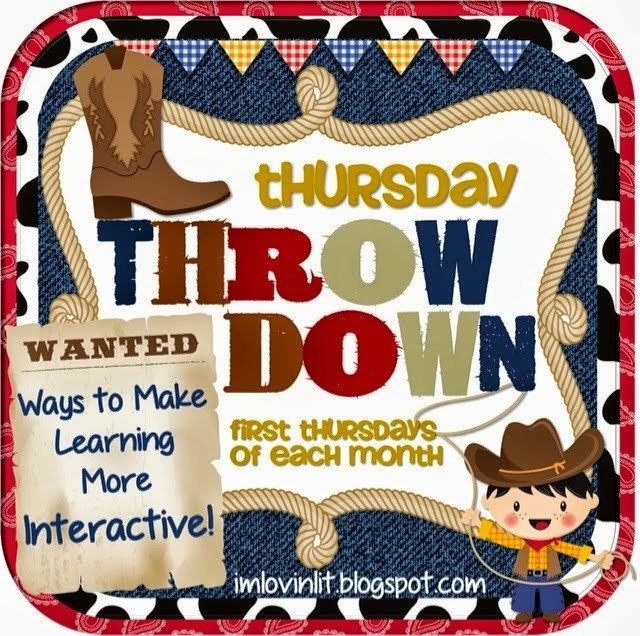 I'd love to hear how you make learning more interactive! What a fun idea! I'm sure your kiddos loved it! Love this idea. Genius, pasta girl! I love the idea of using macaroni for commas! Nice! I love it. Great idea! Thanks for linking up today. 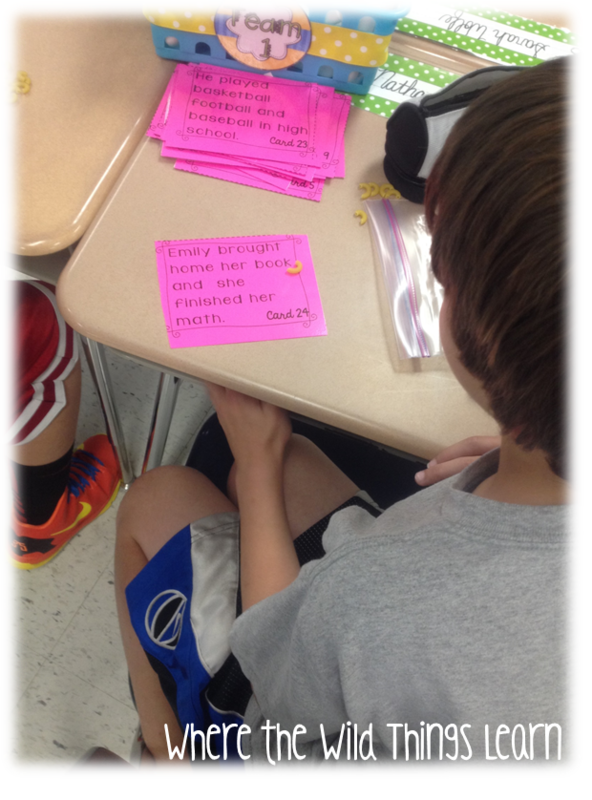 Love the idea to make grammar hands-on! I love your new product!! I had to pin it, of course. ;) You're the best!